Jonathan was born in Uganda and educated in Kenya, UK, and Canada. Despite this global schooling, Johnny would happily have skipped it all to return to his favourite spot on the Nile, fishing for Nile Perch. His passion for Uganda, its wilderness and its natural beauty is limitless - he is happiest in the bush in his ripped shorts, binoculars in hand, squinting at the horizon. Pamela has lived in Uganda for 20 years (dragged here by Johnny, who promised she’d love it). A native of Montreal, she studied Anthropology at University and worked for a number of years in television and advertising development before a total career overhaul …she looks after the softer side of the safari and lodge business and also works as the Honorary Consul for Canada in Kampala. Florine grew up in Belgium and graduated in Marketing and in Management Sciences. When she initially came to Uganda in 2015, she was involved in community projects. 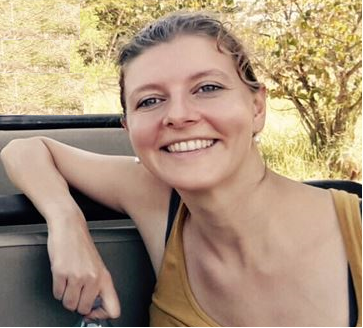 Corporate and social responsibility in community and conservation continues to be a great passion for her with Wildplaces Africa & The Uganda Safari Company: She loves travelling and discovering new cultures, and she has excellent destination knowledge of Uganda. She is dedicated, detailed, hard-working, sociable, organized and responsible; and loves driving sales and creating new marketing opportunities. Born and raised in Uganda, Lydia has a very deep passion for tourism – and a strong desire to show others her beautiful country. She has been working in the industry for 8 years, and has gained an impressive amount of product knowledge. What drives her the most is the exposure to working with people from all over the world, and exploring new cultures. She is not afraid of a challenge, and will go out of her way to ensure the best service possible. Her witty mind and quick thinking, combines with the love for her country and results in amazing guest experiences. Jochen manages our marketing in Germany. He possesses a university degree in business administration and tourism management and calls on many years of experience in the tourism and hotel industry. In 1997 he started his career working for a luxury hotel in the German Alps where he received the official qualification for hotel administration. His love for East Africa started in 2003 when he started working for the Kenya Tourist Board. In 2010 he founded his own agency for tourism marketing and consulting with clients from the East African hotel and tourism industry. Based in Munich, he is strongly connected with journalists, tour operators and travel agencies with a focus on East Africa. Jochen loves to be out in nature and has a keen passion for travelling in Africa. Our main office is situated in Bugolobi, Kampala, a leafy suburb a little away from the hustle and bustle of the centre of town. This is our hub, where all reservations, marketing, vehicle maintenance, accounting, purchasing and other logistics for the group take place. The passion and dedication of the team is palpable when visiting our office; and many a day and night is spent strategizing and planning together, with the sole focus of promoting tourism to the country we love. Due to its reputation, the company is able to attract highly qualified and motivated interns from all parts of the world, and we have built up a sustainable internship programme in the last two years, with the aim of training, motivating and inspiring staff in Uganda at the main office and at the Lodges. We have so far hosted 11 interns for a minimum period of 6 months each (many contracts have been extended), with more agreements on the cards. Our interns have been from The Netherlands, Latvia, Serbia, UK, US, Luxembourg, Vienna, China, Vietnam and Switzerland. They bring with them BAs in Tourism & Hospitality Management, Marketing Management as well as Masters in Business Administration, together with substantial previous tourism-related work experience. We have solid contracts in place with some of the top hotel schools in the world. Our interns and staff alike have declared the programme a resounding success!